The thrill and freedom you get from skiing down a powdery run with the wind in your face is hard to beat. I’m yet to meet a skier who isn’t passionate about the sport! What if you’ve never skied before, are you missing out? 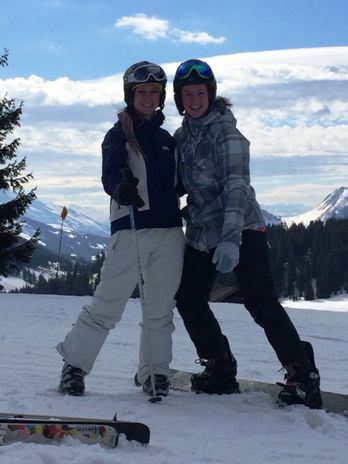 Do you wish that you learnt to ski as a child but never got the opportunity? Well, it is never too late to learn and in this article we will share some of our top-tips for first time skiers and snowboarders. Personally, I didn’t learn to ski until I was an adult. Speaking from first-hand experience, I can say that learning to ski is a challenge, often scary and daunting but so, so worth it! However, if you are reading this, you probably haven’t been able to achieve this one! It is true to say that the older you get, the more you feel the nerves and appreciate the risk. It feels almost embarrassing to watch the three year olds zooming down the mountain next to you but remember, they have no fear and are probably skiing a lot more regularly than you. If you are not used to ‘sliding’ this will feel very different and take time to get used to. Before you begin your ski holiday, it might be worth at least trying something like ice-skating so that you can begin to feel confident with the sliding feeling. 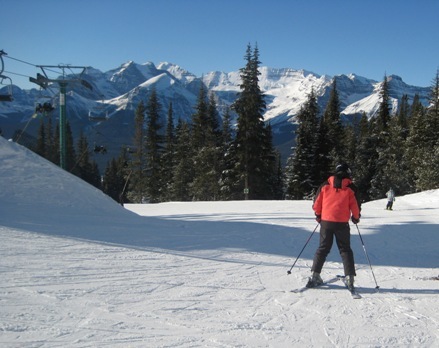 Joining lessons at snow school is an excellent way to begin your new winter sport. You will be coached by the pros who will help build your skills and confidence, meaning you avoid picking up any bad habits. You will also be learning alongside a group of people who are all at the same standard as you. This is a better idea than trying to ski with your friends, who may be far more experienced than you. Expect to start your lessons on the nursery slopes with all of the new starters. Nursery slopes, or beginner areas, are quite flat and give you the opportunity to learn the basics and build your confidence. I remember when I first learnt to ski, we were all split into small groups along the slope. The idea was to start, ski for a couple of meters and then stop gracefully with a snowplough. I could not get the hang of this at all and ended up skiing way past my stop point and using a group of children further down as my stopping mechanism. Not my finest moment, but thankfully it didn’t put me off. This one is easier said than done until the skill comes a little more naturally to you. Persevere though, it will come. Winter sports involve using muscles that you are probably not used to using. It takes time to build up the muscle memory so expect to be a bit achy the next day. If you speak to any skier, they will probably tell you to avoid snowboarding and vice versa. When you become good at one of them, the thought of going back to square one and spending the day falling over is not an attractive one so people typically stick with the sport they feel most confident with. As a new starter, you are in a great position to try both skiing and snowboarding, see what works for you and what you enjoy the most, then focus on improving just the one. You really don’t want to be buying your own equipment until you know that you are going to enjoy skiing or boarding. Until then, you will most likely rent your gear in-resort. Most resorts have excellent equipment available to rent, it is well-maintained and updated regularly. However, unlike your own gear, it is not going to be moulded to fit you perfectly, which can make it a little uncomfortable. Try to avoid having to walk great distances in your ski boots – this is a skill in itself and is not easy! Our top tip with kit is to invest in a good pair of ski socks, Merino Wool is excellent, that are going to keep your feet warm and comfortable for the day, without rubbing. Look for socks that have extra padding around the pressure points of your toes and ankle. This will make the world of difference! A good pair of gloves is also essential. They should be waterproof and prevent snow from getting in the cuffs. The really important thing to remember, it’s all about having fun! 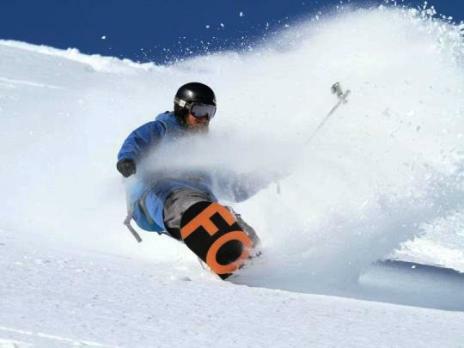 We have been arranging ski season jobs for people since 2000. Most of the people who come to us already have ski or snowboarding experience and want to build on these skills during their free time. That said, we have sent lots of people to Canada to work in hotels that have never skied before but want to give it a go on their days off, and have gone on to become really competent skiers. By joining one of our paid work hospitality programmes in Canada you can have 6 months to perfect your skiing during your free time. New for 2019 we have launched our ski instructor course in Austria, that comes with a guaranteed job!